The rand closed at R13.99/$ on Thursday. The rand closed at R13.99 to the greenback on Thursday. “I’m going to come with the idea - challenge one fundamental idea that I think is endemic at the Fed, which I think is completely wrong, which is that growth causes inflation. Growth does not cause inflation,” he said in an interview on Bloomberg Television on Thursday. “I’ll say that again: Growth does not cause inflation. We know that. When you have more output of goods and services, prices fall,” Moore said. US equity-index futures turned higher with European shares after a downbeat session in Asia. Treasuries fell and the dollar strengthened further on upbeat economic data. Contracts on the S&P 500, Nasdaq and Dow all advanced, and the Stoxx Europe 600 Index reversed earlier losses as gains in travel companies and carmakers outweighed declines in miners. In Asia, Chinese shares led a decline across the region’s markets. The pound fluctuated after the European Union agreed to give Britain until the end of October to avoid a chaotic Brexit. Treasuries added to declines after data showed US jobless claims fell and producer prices beat expectations.Investor optimism on global stocks and commodities has endured as warnings about a global economic slowdown abound. The lackluster week for global markets dragged on, with European stocks and US equity futures drifting after central bankers warned of threats to the global economy. Treasuries edged down while the dollar was steady. The Stoxx Europe 600 Index trimmed earlier losses, as gains in travel companies counter-balanced declines in miners. Contracts on US equity indexes pointed to a directionless open. In Asia earlier, Chinese shares led a decline across the region’s markets. The pound fluctuated after the European Union agreed to give Britain until the end of October to avoid a chaotic Brexit. European sovereign bonds were mixed, and the single currency was steady. Investor optimism on global stocks and commodities has begun to waver as warnings about a global economic slowdown abound. 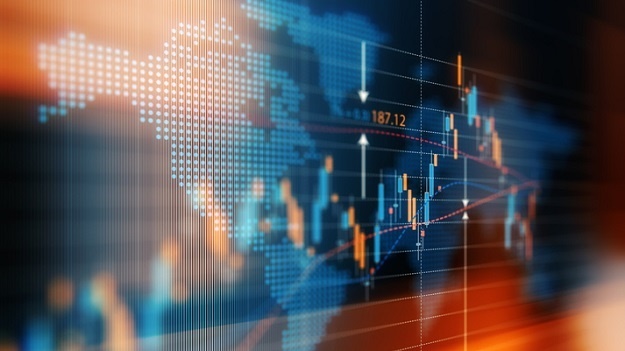 While both asset classes are hovering near their 2019 highs, caution over economic pullbacks were expressed by the European Central Bank, the IMF and in the Federal Reserve minutes - which reinforced expectations that interest rates should be on hold for the rest of this year. Oil in New York retreated from a five-month high as an increase in U.S. inventories to the highest since late 2017 overshadowed OPEC’s efforts to reduce production. In emerging markets, currencies were steady and equities declined. Sasol announced on Thursday that its chairperson Dr Mandla Gantsho will step down after the company's annual general meeting in November. Gantsho is set to be replaced by Sipho Nkosi, the former CEO of Exxaro Resources. The energy and chemicals company said Nkosi will join the group's board on May 1 as independent non-executive chairman designate, to succeed Gantsho at the conclusion of the AGM. "I am pleased to hand over the reins to a person of Sipho’s calibre and I am confident that he will provide the necessary direction and leadership in an exciting chapter of Sasol’s history. He will continue to be supported by a strong Board comprised of a diversity of skills and experience," Gantsho said in a statement. The blueprint hashed out during six hours of talks in Brussels allows the UK to stay in the bloc until October 31, with a review of progress to be held in June. British Prime Minister Theresa May accepted the offer and must now sell it to skeptical members of Parliament in London. May will need to return to London on Thursday and explain the delay she had previously said would be unacceptable to a Parliament and a Conservative Party that are losing patience with her leadership. Asian stocks drifted after the Federal Reserve did little to alter investor expectations that interest rates in the US are likely on hold for the remainder of this year. Treasuries yields were little changed.Chinese and Hong Kong shares led losses, while declines were more modest in Australia and Japan. S&P 500 Index futures were flat after the benchmark climbed Wednesday following unexpectedly soft inflation data that boosted the Fed’s wait-and-see approach to rate hikes. Australian bonds rose, tracking overnight moves higher in sovereign debt as central bankers detailed weakness in the economic outlook. The pound was steady as European Union leaders agreed to extend the date of Britain’s departure from the bloc to October 31. Global equities are showing signs of fatigue after a strong start to the year. European Central Bank President Mario Draghi reiterated warnings that global risks continue to batter the region’s economy as the ECB signaled no rate hikes for the rest of 2019. Despite a US economy that is forecast to grow above trend with low unemployment, Fed minutes showed concern about external drags such as slowing European growth, the potential of a disruptive Brexit and the ongoing trade war. “The concern that the Fed has is, on the inflation front they might want to pause for longer, on the financial stability front, they might want to leave on the table the potential for another rate hike because that would cool some of the froth in financial markets,” Catherine Mann, global chief economist at Citigroup, told Bloomberg TV in New York. Elsewhere, oil retreated from a five-month high after U.S. government data showed the biggest drop in gasoline stockpiles since 2017.